Increase resistance to oil, dirt, and water stains in grout with MAPEI® Maximizer. Designed for use with MAPEI® Keracolor™ S and Keracolor U Portland-cement-based grout to enhance the resistance to staining. 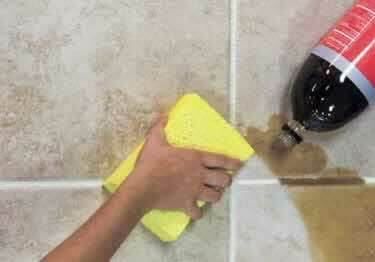 Grout Maximizer does not affect grout color and requires no additional sealing once it is cured. It can be used in place of water for mixing with Keracolor™ S and Keracolor U. Grout Maximizer benefits include: reducing water absorption, improving flexural strength, reducing shrinkage of Portland-cement-based grout, making routine cleaning easier, and increasing stain resistance. Great for interior or exterior use in residential or commercial walls and floors. Container Sizes: 25.6 oz, 49 oz, 64 oz. Increase resistance to oil, dirt, and water stains in grout with MAPEI® Maximizer. Designed for use with MAPEI® Keracolor™ S and Keracolor U Portland-cement-based grout to enhance the resistance to staining.